This work reviews the state of the art of biomass pelletization with particular emphasis on its implementation in power generation. Biomass is a renewable feedstock with potential to supplement or partially replace fossil fuels for energy due to its neutrality with respect to CO2 emissions, the low NOx and SO2 emissions, the advantageous environmental policies that promote its use, as well as its autonomy, that may contribute to secure the energy supply. Raw (or white) biomass pellets are increasingly being used as a source of bioenergy in power plants for heat production. Torrefied (or black) pellets also have a promising future, but still need to be widely deployed. 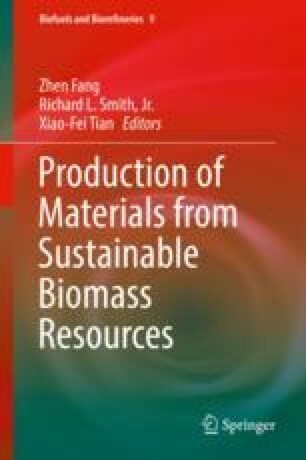 Main feedstocks and additives used in biomass pelletization research at laboratory, pilot and industrial scales are reviewed throughout the chapter. In addition, the pellet quality standards, economic costs, most meaningful markets and trade flows are also overviewed. Finally, relevant examples on the status of large scale biomass pellets firing and co-firing are reported and key conclusions from these experiences are summarized.